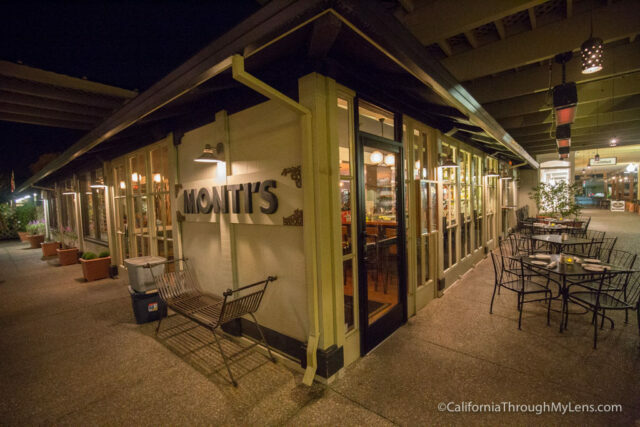 Monti’s Rotisserie & Bar Restaurant in Santa Rosa has become a local favorite over the years with their unique rotisserie style preparation to their food. Each day there is a different meat slowly roasting on the spit in the middle of the restaurant. 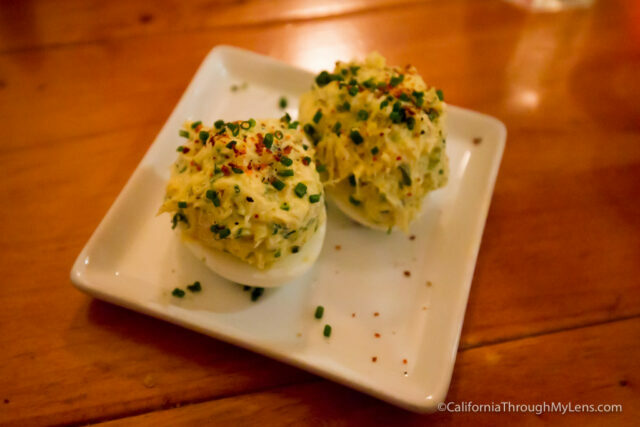 This style is not one you often see and because of that, it has become a go too for carnivores in Sonoma County. Tucked away in the main shopping center for the town of Santa Rosa, Monti’s is a great place for a nice meal, here is all the information. Recommendation: Arctic Char (fish), the meat of the day or the Calamari. 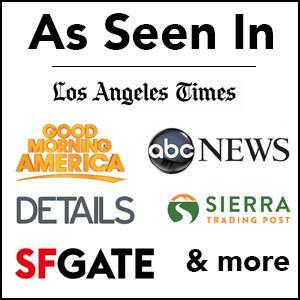 After getting on Highway 12 East from Highway 101, you will take it till it ends and then turn left on Famers Ln. The shopping center that Monti’s is in is on the corner of Farmers Ln and Sonoma Ave. After parking, you will walk through the shopping center to get to Monti’s. It is located on the corner, right next to a large metal bear. The restaurant itself is open and inviting with a very warm feel to it. I appreciated that the dining area was large so that you were able to have a more private meal while at the restaurant. Be sure to walk by the fire and see the meat rotating on the spit inside when you come. The menu itself has a crazy amount of options to choose from that run the gauntlet between many styles of food. I was not sure where to go, so our waitress made some recommendations for us that gave us a taste of many of the different styles they had. I went on a night where the meat roasting was goat, and that is not something I enjoy, so here is what I ordered instead. Loaded with crab which adds a unique taste to the typical dish. It was good, but I was not as blown away as I expected to be. I was told this is the best in town and it seems like true claim to me. The calamari was fresh and had an excellent crispy crust. It came with a lemon aioli and a few peppers on top to eat as well. This is a good sharing appetizer for the table. 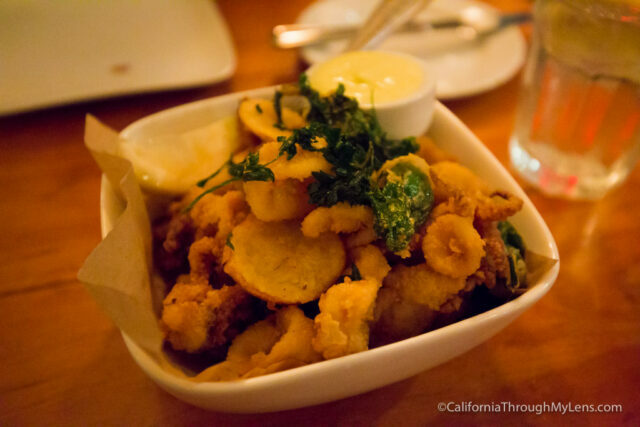 They even deep fried lemon slices in the mix with the calamari and it was fun tart taste to go with the fried food. 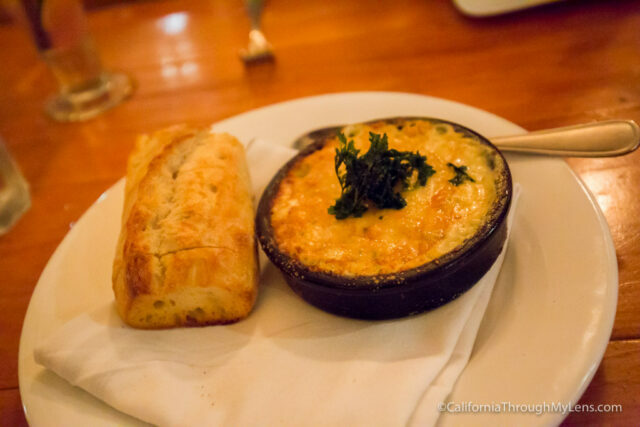 I would describe this dish as a rich and delicious cheese / crab sauce that is full of flavor. It comes out hot and is served with baguette. The subtle cauliflower helps to mellow the richness of the cheese, which lets the delicate crab flavor come out. You can tell the crab is fresh and that is what pushes the dish over the edge. Both my wife and I were impressed. Prepared medium rare, the fish is flaky and practically melts in your mouth. It is pan roasted so the skin has a nice char to it and served with a fantastic side of honey ginger carrots. 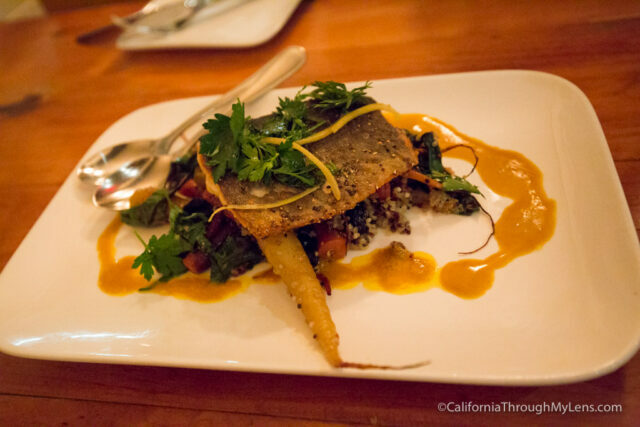 The fish sits on a bed of quinoa flavored with mint and butter to finish off the dish. I shared it with my wife and it was a really good entree. The fish itself is a mix between a trout and a salmon but it leans more towards salmon to me. 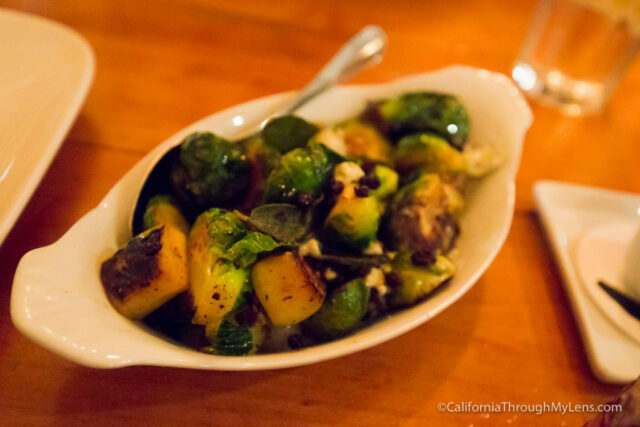 Served with chorizo, pearl onions, apples and blue cheese, it is a Brussels sprout dish with a lot going on. I really liked getting a little bit of everything in a bite as the sweet, spicy and savory created a huge flavor. It is different than most ways I have seen brussels sprouts prepared but in a good way. Overall, this was a nice, relaxed meal in Santa Rosa. 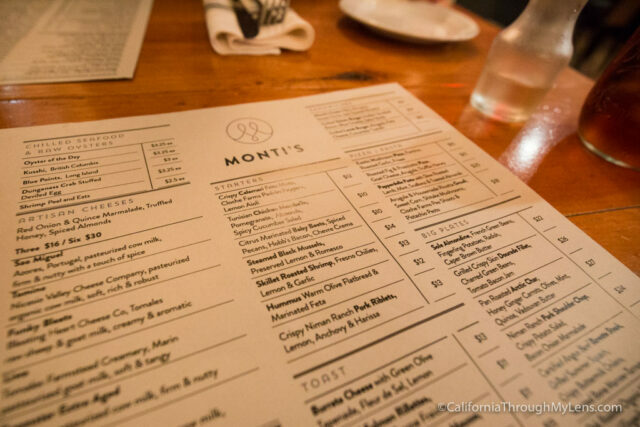 I can see why Monti’s has became such a popular spot in the city now, and I recommend you give it a try if you are in the area. Let me know what you think in the comments. Disclosure: This meal was provided free of charge, all opinions are my own.